A global opinion poll published Sunday by the World Economic Forum (WEF) finds that a clear majority of people in all regions of the world say they believe cooperation between nations is either extremely or very important. The global public overwhelmingly favors multilateral cooperation, is open to immigration and rejects the notion that countries' best interests are achieved at the expense of others, according to the WEF survey. Most polled showed a rejection of populism and the majority said they believe upward mobility is too elusive and that governments are not doing enough to provide people with opportunity. "The combination of climate change, income inequality, technology, and geopolitics pose an existential threat to humanity," said Klaus Schwab, WEF founder and chief executive. "What we see with this research is that, while the international community's capacity for concerted action appears constrained, the overwhelming desire of the global public is for leaders to find new ways to work together that will allow them to cooperate on these critical shared challenges we all face," he said. The data came in collaboration with Qualtrics, a U.S. experience management company, and will be used in panel discussions and workshops at the Jan. 22-25 WEF annual meeting. 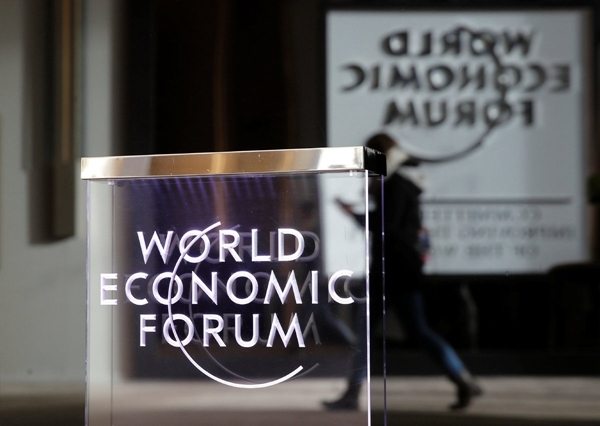 The research covered a sample size of over 10,000 people from every region of the world ahead of the WEF meeting in Davos-Klosters, Switzerland. North Americans have the least trust in climate science, while Western Europeans are least likely to regard technology companies as altruistic. Asked whether their country has a responsibility to help other countries in the world, South Asians again registered the highest levels of accord with 94 percent answering positively compared to a global average of 72 percent. Again, North Americans at 61 percent and Western Europeans with 63 percent in the affirmative, were the least effusive. A global majority of respondents, 57 percent, say they believe that immigrants are "mostly good" for their new country, but only 40 percent of those living in Eastern Europe and Central Asia and 46 percent of respondents in Western Europe subscribe to the same opinion. Perhaps unsurprisingly given its history, said WEF, North Americans trailed only South Asians in their approval of immigrants, with 66 percent saying they believe immigrants are mostly good.